This is a website related to an AHRC funded project that supports the research of Robert Stern on Løgstrup’s book The Ethical Demand. The project runs from September 2015 to February 2017, and will involve publications, conferences, and public engagement events. The main publication will be a monograph on Løgstrup’s The Ethical Demand, and also a translation of his 1950 lectures in German Kierkegaards und Heideggers Existenzanalyse und ihr Verhältnis zur Verkündigung. Two edited collections will be produced from the conferences to be organised. The conferences will be on Løgstrup and natural law (at the University of Aarhus) and Løgstrup and Levinas (at Sheffield), the proceedings of which will be published. A conference and seminar series on care ethics will also be run in Sheffield, in conjunction with Medical Humanities Sheffield, at which I will contribute papers on Løgstrup. 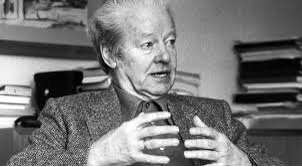 Public engagement events will focus on Løgstrup’s relation to religion, and his contribution to Danish culture. I will also occasionally blog about what I am up to while working on the project. See separate pages for further details.